Do you love noodles? 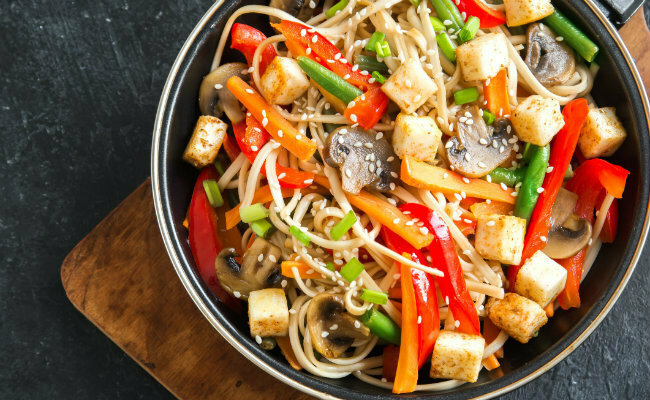 If you haven’t tried soba noodles, they’re a nutritious, gluten-free noodle well worth adding to your noodle repertoire. Soba is a type of Japanese noodle traditionally made from buckwheat flour. Buckwheat is naturally gluten-free and high in protein, iron, magnesium and B vitamins. 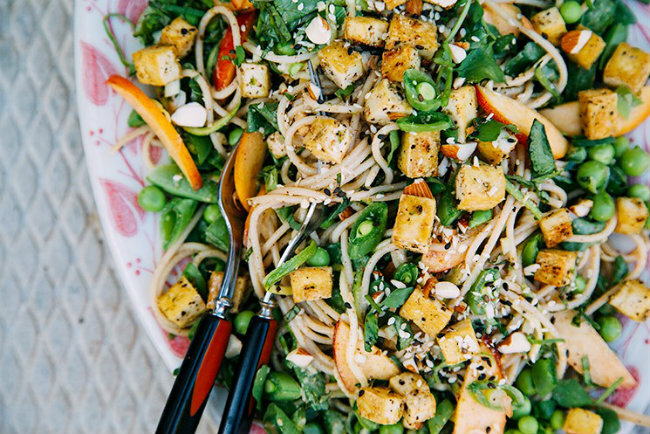 If you can’t eat gluten, keep in mind that some soba noodles may be mixed with wheat or other flours. Always read the ingredient label carefully before buying your noodles. In Japan, soba noodles are typically served cold with a dipping sauce or hot in a soup broth. 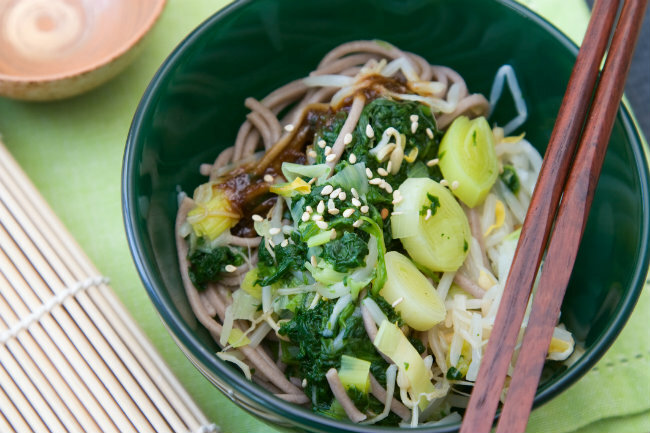 These traditional recipes are delicious, but unlimited possibilities exist for serving your soba noodles. 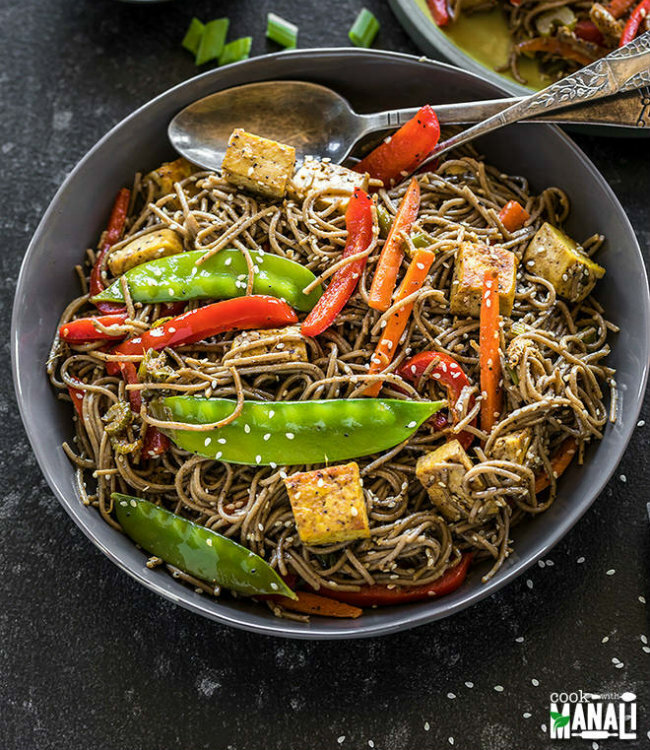 Check out the recipes below for some new and exciting ways you can enjoy soba noodles. Chap chae (or japchae) is a popular Korean noodle dish that’s very flexible and can be made with whatever veggies you have on hand. 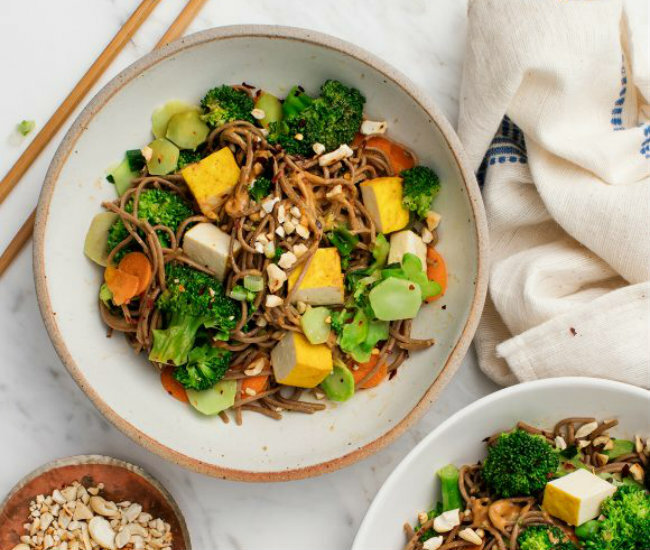 It’s traditionally made with sweet potato noodles, but soba noodles make an excellent alternative. 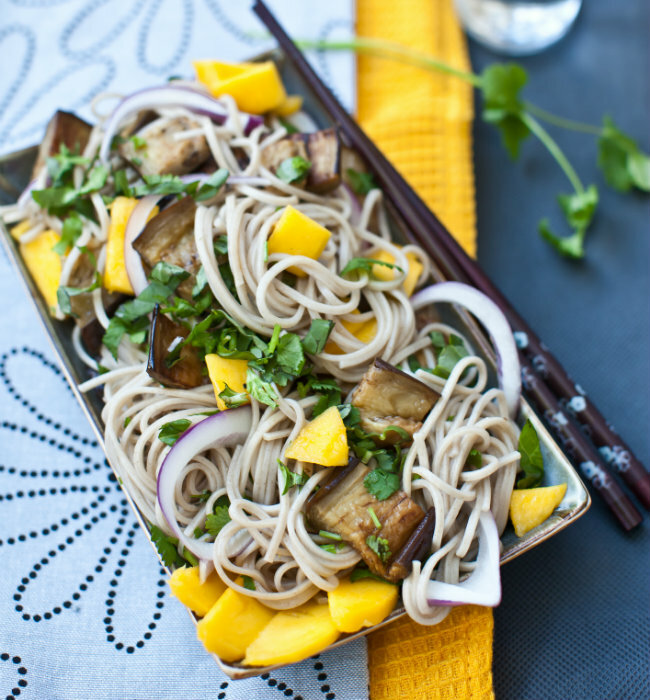 Fried eggplant and fresh mango add a unique flavor combo to this cold soba dish. 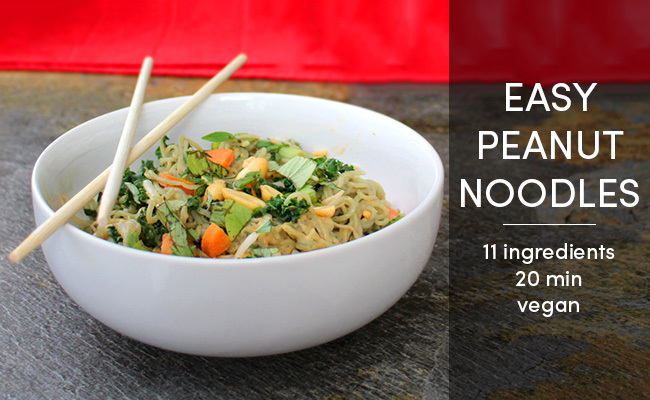 Want a tasty bowl of noodles you can prepare quickly and easily? This is your recipe. A satisfying bowl of rich and creamy peanut butter noodles, with the option of adding your favorite vegetables and toppings. 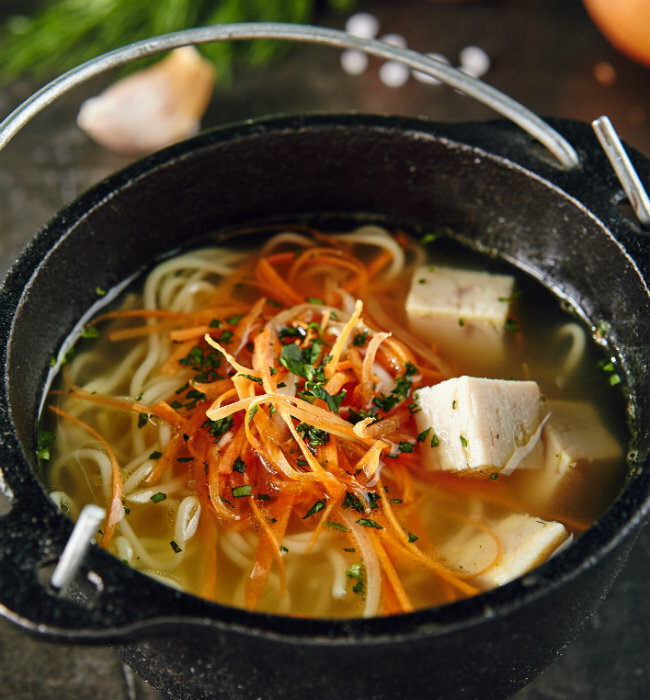 This soup is based on a classic miso broth made with fresh ginger root and seaweed. 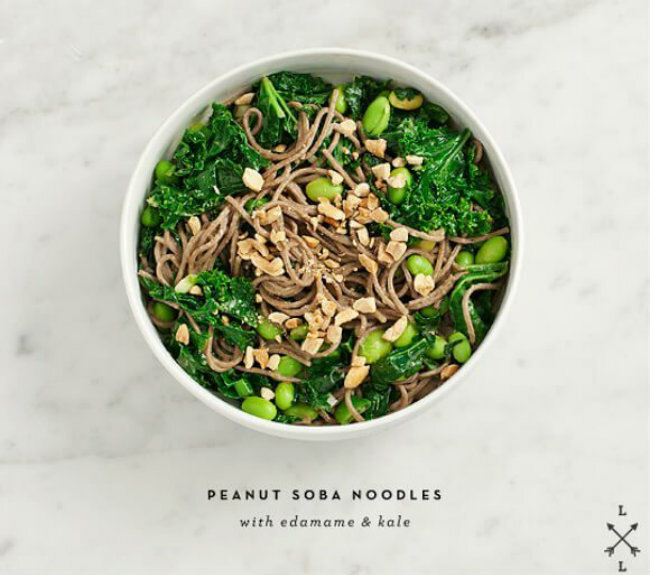 Edamame and peanuts add extra protein to make this vegan noodle bowl a complete meal. 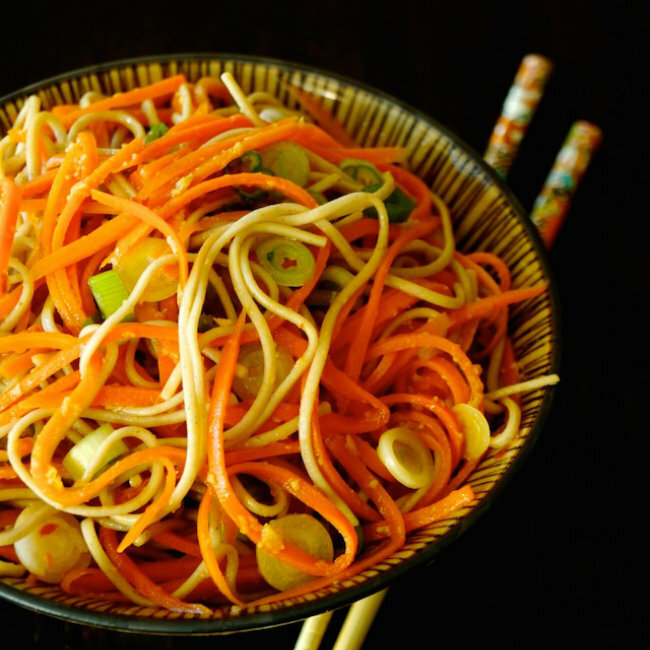 Fresh lime and orange juice make the Asian-inspired sauce for these noodles come alive. 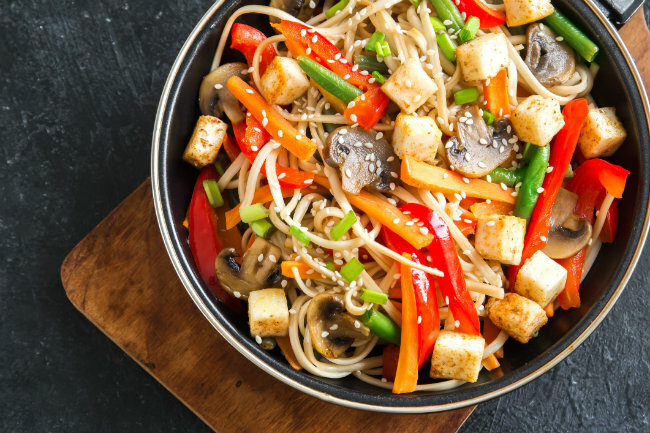 Sake and fresh ginger give this stir fry a delicious zing. 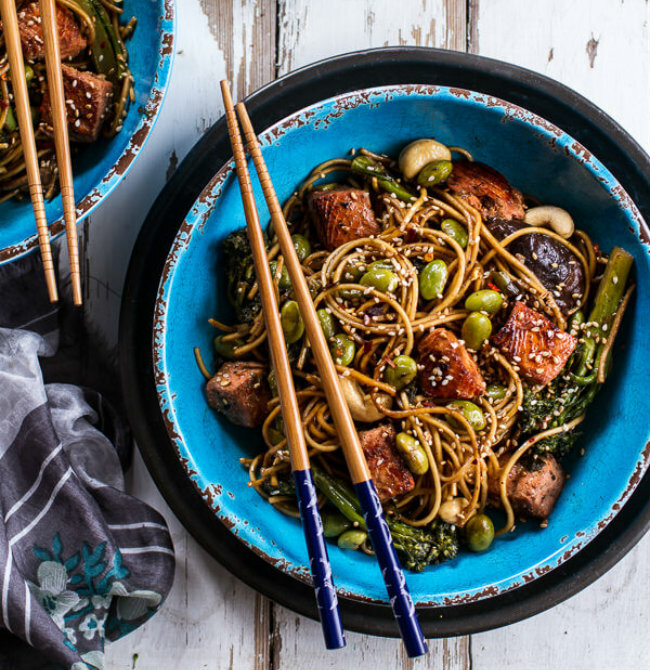 Broccoli, cauliflower and tofu are roasted for extra flavor before adding them to this colorful noodle plate. The carrots in this tasty dish provide your daily dose of beta carotene. 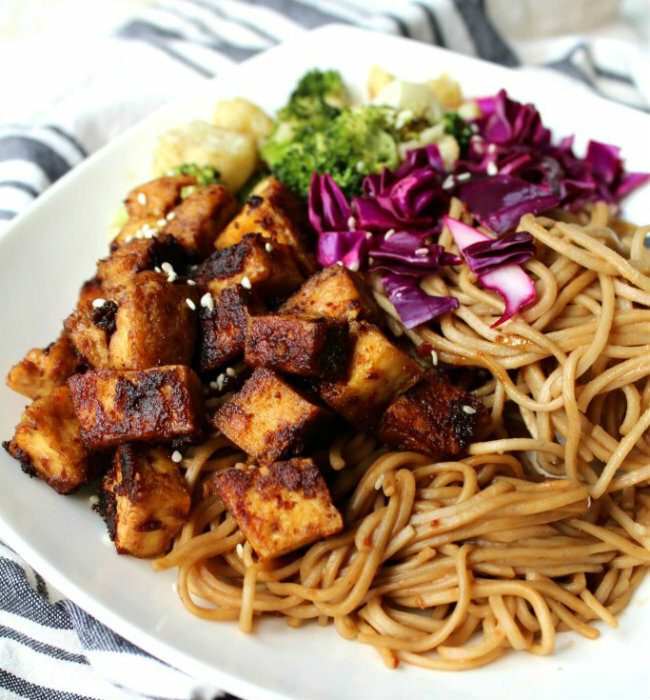 It’s great on its own, or you can add tofu, fish or other protein for a more filling meal. Soba also makes a great cold salad. Laura at The First Mess adds fresh peaches, snap peas and basil to this recipe for a fresh, original flavor. This spicy recipe comes together in 30 minutes or less for a quick and delicious weekday dinner.